Humanitarian crisis avoided after US and Turkish threats make Russia think twice about Idlib campaign. As the Israeli air force once again struck an Iranian target in Syria on Monday, media reported that the long anticipated offensive by the Iranian-Russian-backed pro-Assad coalition against Sunni Islamist rebels in the northern province Idlib was off the table, at least for now. Last week, reports came in that the pro-Assad coalition had started to bomb positions of the Tahrir al-Sham coalition of Sunni Islamist rebel groups and medical centers in Idlib. Assad’s military also launched attacks on Tahrir al-Sham positions in the neighboring Hama province while preparing for “massive military operations in Idlib,” and the Russian air force bombed rebel targets in both Idlib and Hama. The delay of the Idlib operation came after Turkey, which operates as the patron of some of the Sunni Islamist rebel groups in Idlib, began to reinforce its positions in the province which is home to approximately 3 million people, many of them displaced Syrians. Turkey’s controversial leader Recep Tayyip Erdogan tried to prevent the offensive by the pro-Assad coalition via diplomacy and direct talks with Iranian president Hassan Rouhani and Russian president Vladimir Putin, but failed. His calls to prevent a new humanitarian disaster in Syria fell on deaf ears, after which Erdogan threatened Turkey would not remain passive when Assad’s forces crack down on the Islamist rebel groups in Idlib. "If the world turns a blind eye to the killing of tens of thousands of innocent people to further the regime's interests, we will neither watch from the sidelines nor participate in such a game," Erdogan said after a meeting with Rouhani and Putin in Tehran. The Turkish leader even took the unusual step to influence American public opinion via an op-ed in the Wall Street Journal in which he warned the “century’s worst humanitarian catastrophe would take place in Idlib if the world didn’t intervene to stop the pro-Assad coalition." "Not only innocent Syrians, but the entire world stands to pay the price," the Turkish dictator wrote in the article. The UN earlier warned that as much as 800,000 Syrians could be displaced by the offensive by the pro-Assad coalition. The United States, meanwhile, appear to have played a major role in the decision to delay the assault on Idlib reportedly taken by Russian leader Vladimir Putin after a power play by the US military in the Middle East. Departing from its earlier threat to retaliate against a new chemical attack on the Syrian population in Idlib by the pro-Assad coalition, the Trump Administration announced it would deal with “any attack” on Idlib. Nicky Haley, the American ambassador at the United Nations, told Fox News last week that the pro-Assad coalition should not “test” the U.S. again. “Any offensive on the civilian people in Idlib was going to be dealt with,” Haley said during an interview with the American broadcaster. As she spoke, the US Special Forces in Syria were holding a massive drill with their ally, the Syrian Democratic Forces on the east bank of the Euphrates River, while the USS Essex, an aircraft carrier carrying F-35B stealth fighters, arrived in the Mediterranean Sea opposite the Suez Canal. At the same time, US Special Forces in east Syria held a week-long drill with local rebel groups near the At Tanf base on the Syrian-Iraqi border. 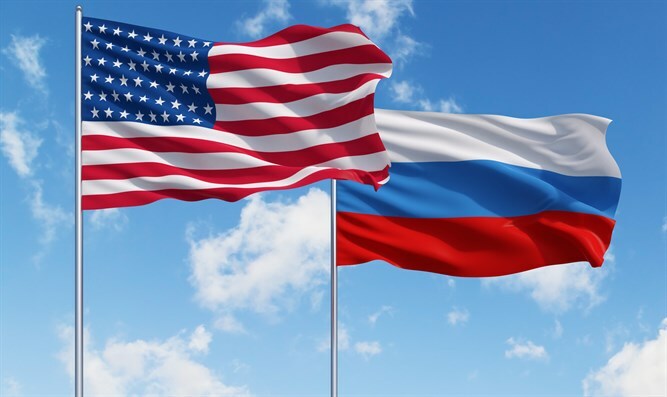 The American moves were most likely an answer to the deployment of 15 Russian warships to the Mediterranean Sea opposite the Syrian and Lebanese coast. The Russian navy vessels last week held a large drill involving live fire in the eastern part of the sea, forcing the Israeli authorities to change flight routes to Ben Gurion Airport near Tel Aviv. "’Our primary mission is crisis response… being current and absolutely ready for anything the geographic combatant commander needs us to do while we are here," Col. Chandler Nelms, commander of the military expeditionary unit aboard the Essex told USNI, according to Business Insider. The media outlet cited experts who predicted that if the Russians dare to attack US forces in Syria, the American military in the Middle East would immediately scramble warplanes across the region and sink the Russian fleet as well as shoot down any Russian warplane that dared to launch a counter-attack. Putin is now expected to meet with Turkey’s Erdogan in the Russian resort city of Sochi on Monday. The two leaders will again discuss the fate of Idlib after diplomats from their countries met with German and French officials and agreed that a humanitarian disaster in the last rebel stronghold in Syria should be prevented via a political solution.